This delicious pasta salad is like eating a BLT in a bowl! It’s a great crowd pleaser. Sandy used several of our favorite kitchen tools from Adrian’s gourmet department in preparing this salad. 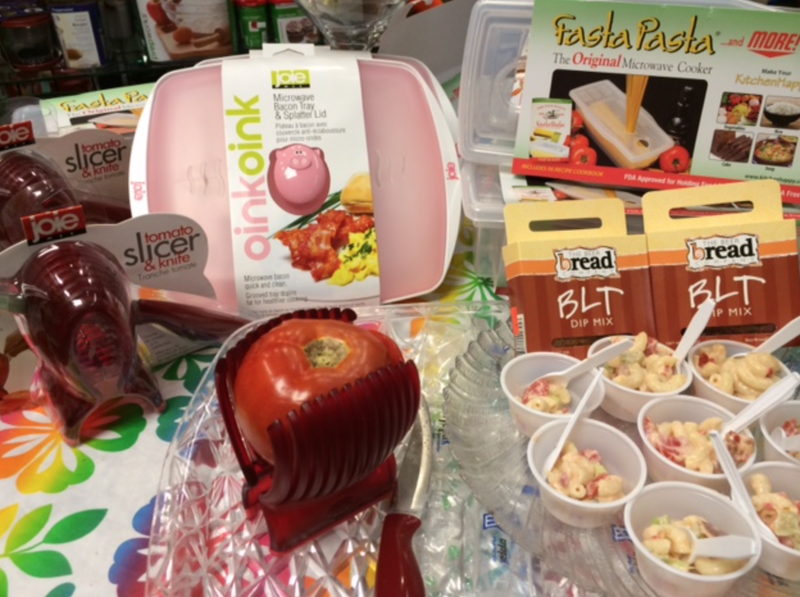 The Oink Oink Microwave Bacon Cooker, Fasta Pasta Microwave pasta cooker, our awesome Tomato Slicer and it also features one of our favorite seasonings…BLT Dip Mix YUM! I would say that we have had RAVE reviews when serving this at Adrians! Hope you enjoy as much as we have! Join Adrians Boutique on Facebook for many other great recipes, fashion tips and fun events! Beer Bread Company, Wind & Willow & Country Home Creations … All are delicious!